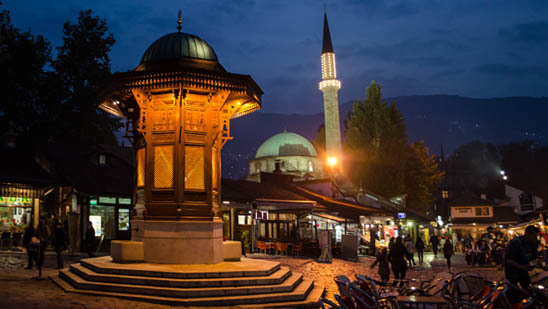 Welcome to Bosnia and Herzegovina, the country which retain traces of civilization for millennia long. Here met the great cultures of South and North Europe, Western and Eastern Christianity, Islam and Judaism, but also great empires of European history. A piece of advice for future visitors: go quietly, slowly, gradually, a bit by bit … and you will discover an unrepatable , unique beauty. Bosnia&Herzegovina is a heart shaped country in Southeast Europe, located in the Western Balkans, side to side with Croatia in the north, north-west and south and with Serbia and Montenegro in the east. This country is one of the hidden gems of the South-Eastern Europe almost landlocked, except for 26 km of the Adriatic Sea coastline centered on the town of Neum. Illyrian tribes who ruled over the entire Balkans lived to see their final fall in the battle against the Romans in the Vranduk Fortress, near Zenica around 6th century B.C. A French traveller through Bosnia at the beginning of the 19th century recorded more than 40 strongholds and fortifications in various conditions – some of them very strong and well maintained. 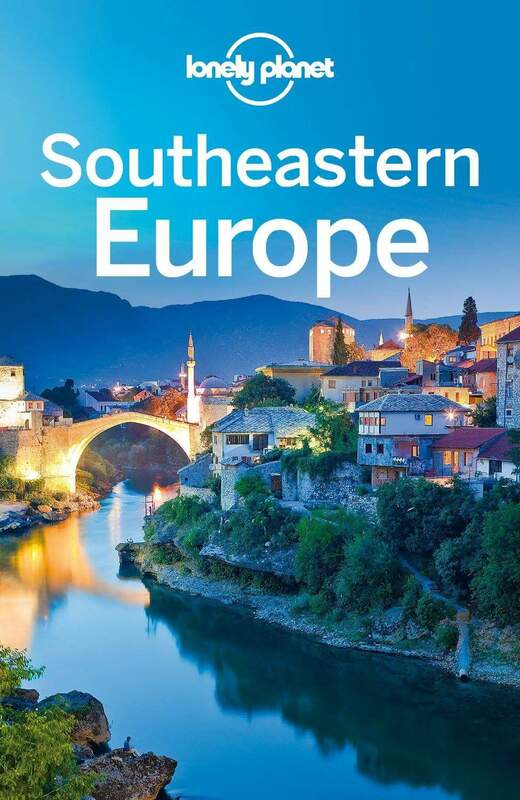 It is in Bosnia&Herzegovina that eastern and western civilizations met, sometimes clashed, but more often enriched and reinforced each other throughout its long and fascinating history. 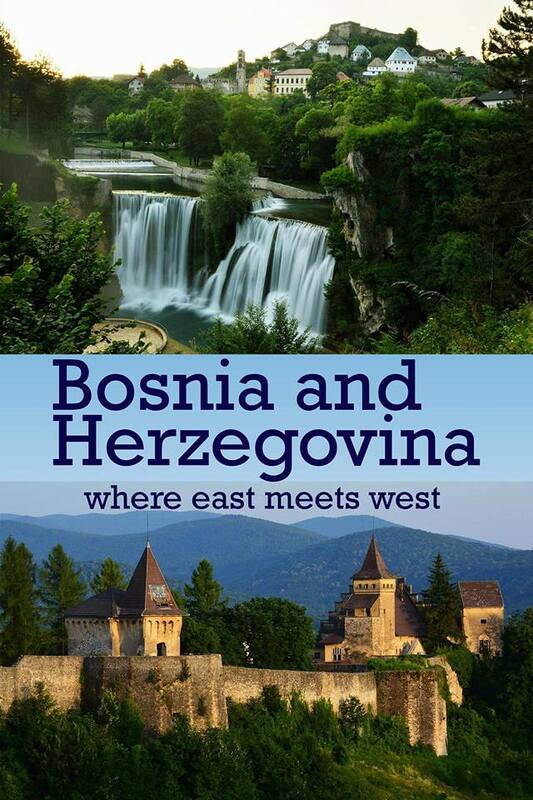 Bosnia&Herzegovina covers an area over 50,000 km2 which is often called as the “Heart of the South-Eastern Europe”. Bosnia&Herzegovina is a natural wonderland – blessed with rugged canyons, lush forests rich in wild game /more than 2,5 million hectares of forests/, crystal turbulent rivers and emerald-blue clear lakes, and a precious mixture of the cultures and traditions that have evolved from this mountainous region of the Southern Alps. In Bosnia&Herzegovina have been detected 227 plants belonging to 71 different plant families, which are being used with ethno therapeutic purpose. 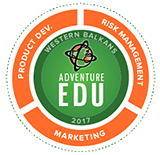 Bosnia&Herzegovina is one of a kind which provides isolated tracks, steep climbs, epic views, fast descents and cool swims. It is a place that will stun you with its natural beauty, fascinate and inspire you with rich cultural heritage, and touch you with warm and genuine hospitality of its people. The amazing thing about Bosnia and Herzegovina is that in only three hours drive you can ski in the Olympic mountains and swim in the Adriatic Sea. Bosnia covers northern and central part of the state, and the name comes from the word “bosana” – water – which certainly does not lack here. There are about 1000 rivers and streams in Bosnia and Herzegovina. Sava is the largest river of Bosnia&Herzegovina and forms its northern natural border with Croatia. Beautiful Una, Sana and Vrbas are right tributaries of Sava River, located in the northwestern region of Bosanska Krajina. Bosna River gave its name to the country and is the longest river fully contained within the country’s border. It stretches throughout central Bosnia, from its source near Sarajevo to Sava River in the north. Drina River flows through the eastern part of Bosnia and for the most part it forms a natural border /some consider it connection/ with Serbia. The border between Serbia and BiH has 383 km in length, 229 km out of which is river border, providing a large number of water-based tourist activities. Neretva River is the major river of Herzegovina and the only major river that flows southwards into the Adriatic Sea. Thermal waters of Bosnia and Herzegovina have an important role in health, and in balneo-therapy tourism and recreational tourism. The tradition of using thermal and mineral waters in Bosnia and Herzegovina dates back ever since the Greek and Roman times. At the springs of the Vrucica spa near Teslic Roman coins used for health purposes were excavated. Thermal waters of the Guber Banja Spa is also known since the ancient Romans, who named its source Domavia, and the whole area Argentaria. The inscription on the ruins of the Roman spas testify on those facts. The first traces of the use of the Ilidza thermal waters near Sarajevo date from the Roman times. Romans had built the first bath-termae in Ilidža, as evidenced by the Roman excavations. Structured use of the Ilidza mineral waters dates back from 1895, while during the Austro-Hungarian rule the significant accommodation and therapeutic facilities had been built. The first analyzes of thermal waters in Fojnica done by E. Ludwig in 1888 gained the scientific confirmation of the folk tradition of the healing properties of the waters there. The first written documents about the healing mineral waters of the Kiseljak springs date back to the 14th century. The southern part of the state, Herzegovina was named after the last duke of Hum, Herceg Stjepan, who was the last ruler from Bosnian aristocratic Kosača Family before the Ottomans invaded. The most important thing for visitors of Bosnia and Herzegovina is an extraordinary beauty, diverse landscapes, cultures, traditions and people. Residents are proud of their unique and recognizable hospitality to the guests. 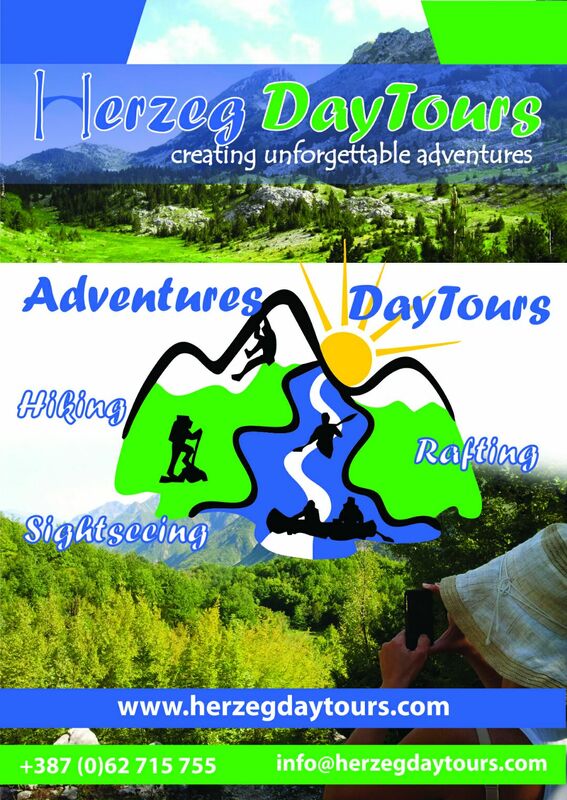 There are many fascinating destinations for everyone’s choice. Tremendous combination of cultural – historical and natural destinations are main characteristics of this small country. 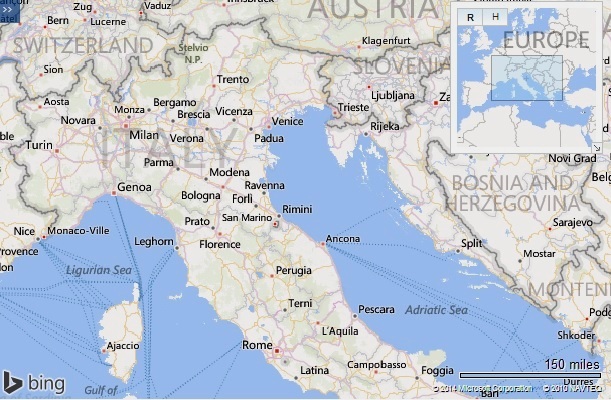 Cities are connected by highways and main roads, with regular bus lines to the rest of the Europe. The train also runs according to the timetable. Airports Mostar and Tuzla are now hosts of low-cost carriers (Mistral Air, Wizz Air, Pegasus). 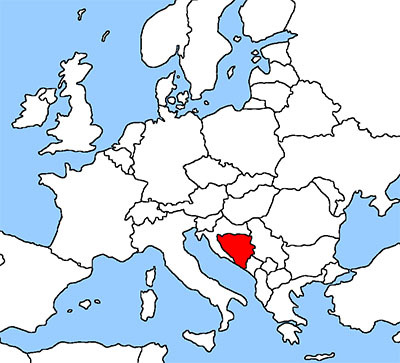 Bosnia&Herzegovina interior is mountainous encompassing central Dinaric Mountains – Dinaric Alps to the south, hilly in the northwest, and flatland in the northeast parts reaching the Pannonia Basin while in the south it borders the Adriatic. Dinara is mountainous range that makes the natural border between Bosnia and Herzegovina and Croatia, after which the entire Dinaric mountain system got its name. 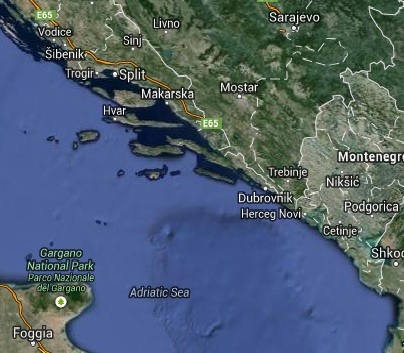 Ranges of calcareous Dinaric mountain system spread in northwest – southeast direction in the length of 645 km following the Adriatic Sea. Dinara Mountain je 84 km long and its highest peak is Troglav /1913 meters/. Central Bosnia is the most mountainous part of Bosnia&Herzegovina featuring predominate mountains of Vlasic, Cvrsnica and Prenj. Prenj Mountain is surely one of the most beautiful and most impressive mountain ranges in Bosnia and Herzegovina and the whole Dinaric mountain system. Prenj Mountain features exciting, sharp and elegant snow-capped peaks throughout the year, impressive ridges, 11 peaks over 2000 meters, beautiful mountain valleys and other amazing alp-likes forms. Konjic, Jablanica and Mostar are situated at the foothills of the Prenj Mountain. The highest peak of Prenj Mountain is Zelena Glava (2,155 m). Eastern Bosnia also features mountains like Trebevic, Jahorina, Igman, Bjelasnica and Treskavica which belong to the Dinarics. Vast tracks of wild and untouched Bosnia’s nature make it an ideal holiday destination for adventurers, trekkers and nature lovers alike. It was here that the 1984 Winter Olympics were held. Now those fantastic ski terrains host a new generation of skiers and snow-lovers, hitting the slopes with Olympic quality skiing without the outlandish prices and long waiting. 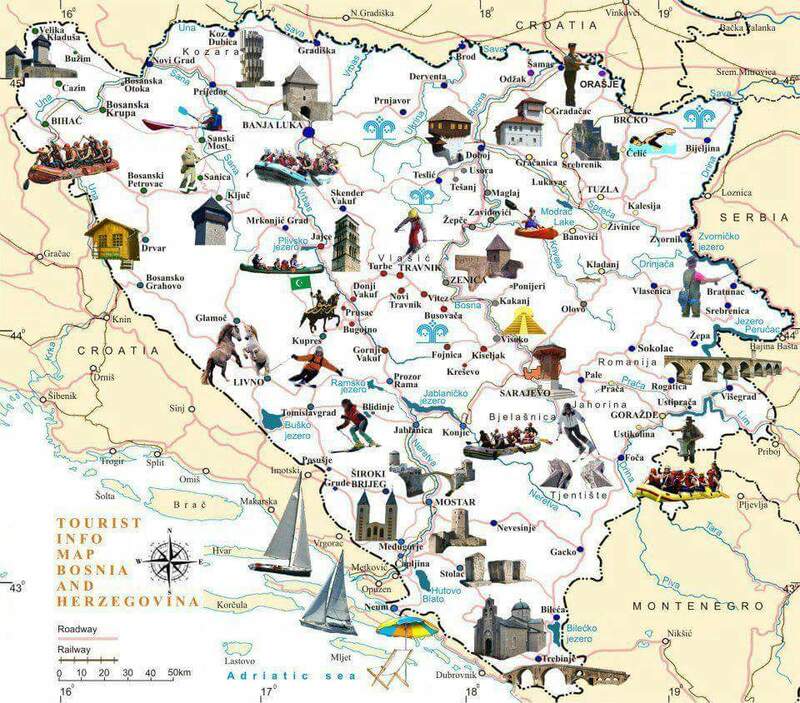 Come to ski to Bosnia and Herzegovina and discover the southeast Europe’s most exciting ski destination ! Capital city Sarajevo offers a constantly present events during the year, such as Sarajevo Film Festival (August) Mess (October), Sarajevo Winter (February / March), Fashion Week Sarajevo (November), Kid’s Festival (June), Baščaršijske noći (July), Annual Meeting of Writers (September), Theatre Fest (September), Jazz Fest (November). Mostar, the glory of Herzegovina, is flourishing in the summer by many tourists who enjoy watching famous jumps from the Old Bridge (UNESCO). Numerous indigenous restaurants as well as international cuisine restaurants, pastry shops, bars and pubs, are some of the things you may see or taste during your visit.